Hello Friends! I sincerely hope you had an amazing Thanksgiving and you were able to share it with family and/or friends. Thanksgiving is always a fun time for my family but this year I was having some stomach issues and was almost completely out of commission. I saved some strength for a quick pie and the main meal but I ended up coming home an entire day early and missing out on some awesome shopping opportunities in Portland due to some pain. In short - please excuse the pictures. They're not my best work but it's what I could do with what I had. However, despite my pictures this recipe is amazing. Alright this recipe is not hard to make. It's even possible to make without a mixer, which is what I did because my brother doesn't own one somehow (okay, it's not that surprising). 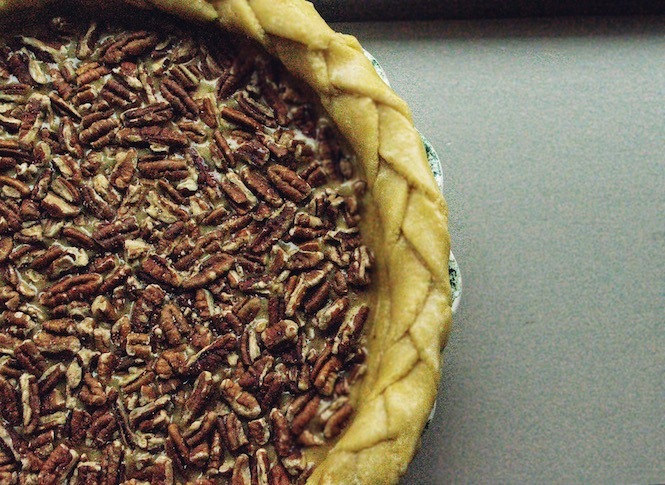 The secret to this recipe is that the filling is all butterscotch with pecans sprinkled on top. Not submerged or mixed in, just lightly dropped on the surface of the butterscotch. The main recipe I use is an allrecipes recipe. I also use an allrecipes french pastry pie crust recipe and I always do something different with the crust every year. Here's my IG from last year, the year before AND the year before that on my personal IG. You can see how I've been perfecting it over the years. I learned pretty quickly I needed more pecans than the recipe asked for. Even though the crust is dairy-free, I still can't eat this pie due to the melted butter in the butterscotch. Regardless, I love making this recipe and I do make it with dairy because my sister loves it so much. All the same, it's super easy to create this pie with a butter alternative to make it dairy-free for your intolerant friends. Confession: I made changes to the original recipe. They aren't crazy, I promise, but I quickly realized I wanted to make this recipe my own. The o.g. recipe serves 8 people but my pie crust and dish feeds 12. Due to this, I added in 1/2 cup of dark corn syrup, 1/2 cup more of brown sugar, a pinch more of salt and 1/4 cup more of melted butter. My brother gets farm fresh eggs from an actual farm, one of his soccer buddies owns chickens so, he gets 12 dozen eggs every week! They come in all shapes and sizes... next time I'm down there I'll try and take photos. They're beautiful eggs, honestly. Anyway, I added an extra egg as a thickening agent but it was very very small egg. I also add an extra cup of pecans because, imma boss like that. This pie was wrapped in foil around the edges and popped into the oven for a solid hour. I also allowed it to cool for 3 hours after pulling it out of the oven. This is to let is settle. Add ice cream or whipped cream (or almond-whipped cream!) 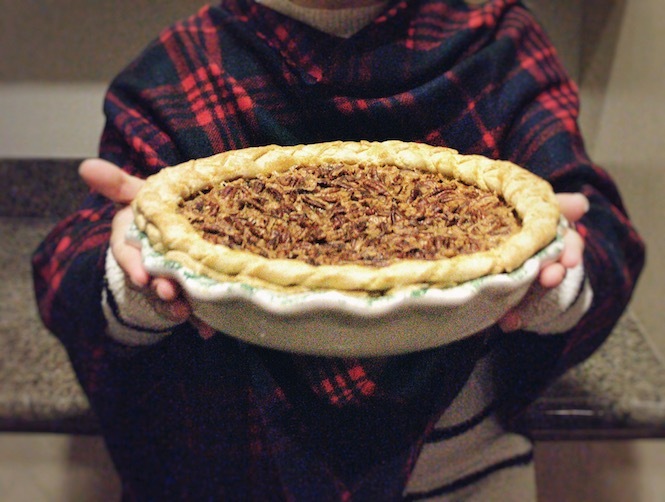 and you're ready to enter into pecan pie bliss! Well, or have a sugar coma. 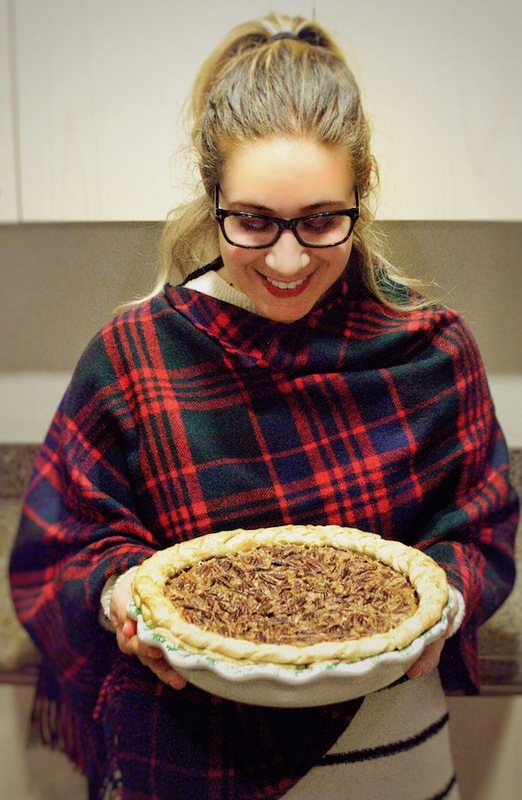 Word to the wise, small slices will make your happy as this luscious pie is very rich! Ye be warned. 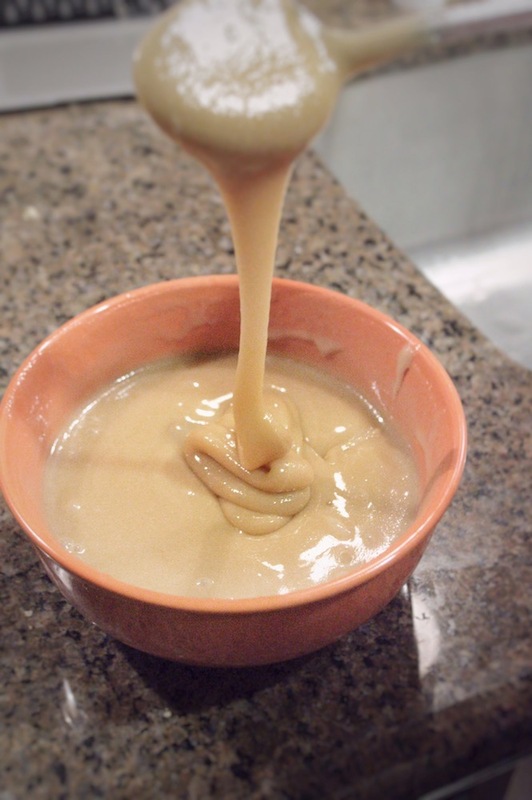 Combine syrups, brown sugar, salt, and melted butter in one bowl. Beat eggs in a separate bowl and then combine into the syrup mixture. Mix to butterscotch perfection and then add to pie crust. Sprinkle the pecans on top. Cover the crust with foil and put in the oven for 1 hour at 350*.